Visit us today to check out our line of fine stainless steel and alloy pressure leaf filters for sale. 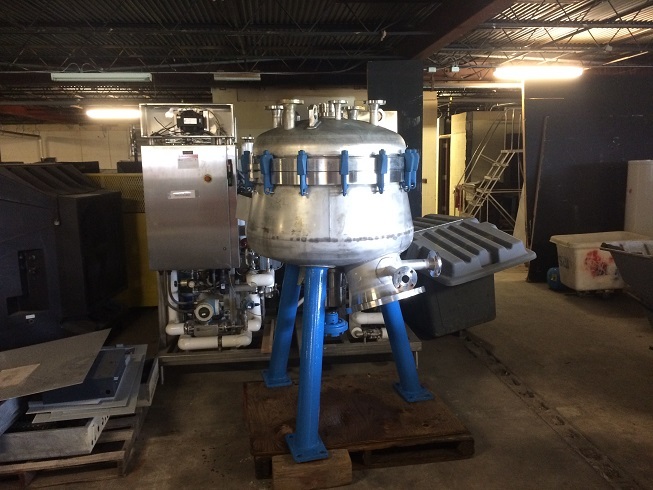 We specialize in Sparkler, Niagara, and, for your most sophisticated applications, the Schenk centrifugal discharge filter. These filters are available in a variety of sizes and require the minimum necessary floor space. Let our filters remove the sludge from your process. This is the perfect filter to handle materials that may be flammable, toxic, or corrosive. The product’s ability to handle these materials has made it a common component in the food, pharmaceuticals, chemicals, and other industries. Our used pressure leaf filters offer the combination of proven reliability and affordable price that will not be beaten by the competition. DH Griffin's equipment gets the job done. Finding the right product is assured with models like the Filterrite 304 stainless steel cartridge filter, Schenk centrifugal discharge C-276 filter, Sparkler Filter Model 18-D-12 jacketed pressure leaf filter, Ametek Niagara Model # 18-12-S Batch Miser Hastelloy filter, and many more! Browse the supply of used and/or proven pressure leaf filters to find the one that best fits your projects. We are ready to assist you in finding the item that best fits your need. Check out our current selection of pressure leaf filters (and other products) at the DH Griffin Used Process Equipment Store.